Over the last three weeks it’s been my pleasure to introduce you to the line-up for the House of SpeakEasy’s opening gala: comedian and host Andy Borowitz; Hollywood superstar Uma Thurman, who will host literary quiz “The Tip of My Tongue”; writer Adam Gopnik; historian Simon Winchester; singer-songwriter Dar Williams; and finally, the author Susan Orlean. The vast cornfields are also a myth […] The hard, nasal, cawing accent is mostly a myth, though now and again, as you roam through Ohio, you will certainly hear words shaped without any roundness or melody […] Even the Midwesternness of Ohio is a myth. I boasted that Sam Sheppard, the osteopath who murdered his wife in the sixties and became the inspiration for The Fugitive, was from Ohio. To be honest, I also claimed, quite insanely, that my mother had dated him […] an effort to make myself a little more spectacular, I guess. She imagines that northern Ohio’s Chagrin River was named by an explorer arriving in the state “looking for a different, more exciting place”. Orlean seems to have got over a similar disappointment (expressed, one might add, with not inconsiderable affection) by travelling far and wide and devoting herself to seeking out the extra- in the ordinary. This is not confined by species. A confessed animal lover, her work includes a biography of legendary wonder-dog Rin Tin Tin, rescued from the battlefields of the First World War and delivered to a life of Hollywood superstardom, and excellent pieces for the Smithsonian on the donkeys of Morocco, anthologised in The Best American Travel Writing 2010, and, this month, the pandas in the National Zoo in DC. Her Twitter feed has as its background a photo of Orlean surrounded by affectionate donkeys and recent tweets include a campaign for one of her photos to feature on the cover of Modern Farmer Magazine. But perhaps her most famous work is on “ordinary” people: the ten-year-old Colin Duffy, for instance, who subbed in for a young Macaulay Culkin in a piece for Esquire on “The American Male at Age Ten”, or, in perhaps her most celebrated work, John Laroche, the orchid-loving, law-breaking Floridian who became the subject of The Orchid Thief. The book blossomed from a New Yorker article Orlean wrote in 1995, and eventually formed the basis of Spike Jonze and Charlie Kaufman’s metafilm Adaptation. (2002), in which she was played — in heavily fictionalised form — by Meryl Streep. It’s a brilliant movie and uses Orlean’s writing in ways which bring out its intelligence, sensuousness and comedy. Her eye for the metaphorical potential of orchids is matched by Charlie Kaufman’s unrestrained imagination, which has Orlean and Laroche (played by Chris Cooper in an Oscar-winning performance) enter into a romantic relationship and a plan to harvest a psychoactive drug from the orchids Laroche steals. Rarely has postmodernism been so fun. Orlean’s website is worth checking out for a number of reasons, not least because it publishes in full a number of her New Yorker articles. My favourite feature, though, is the top banner, which changes as you refresh or load new pages. 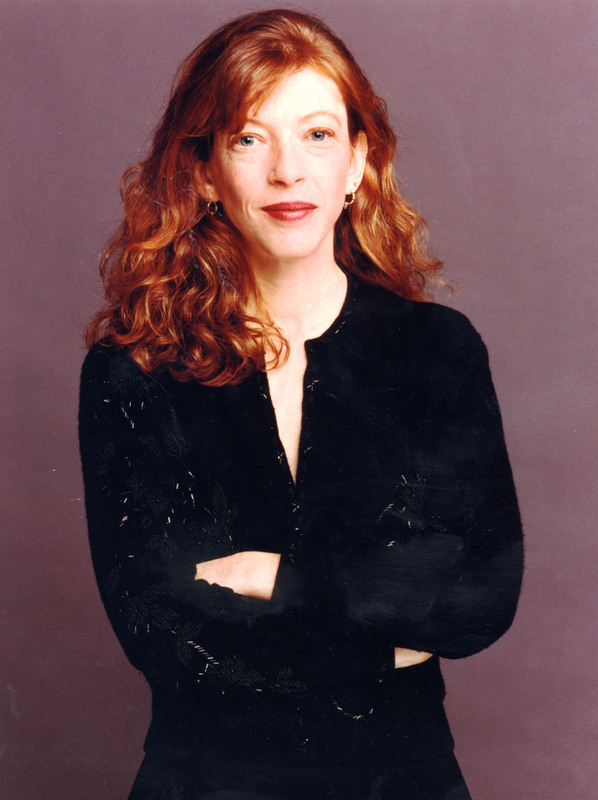 “Susan Orlean” becomes the start of a series of sentences — “…does her own stunts”, “…types 120 wpm”, “…makes a mean martini”, “…has never seen a horse like the Tennessee Stud” — that really encapsulate the fun that’s to be had in her company. The House of SpeakEasy looks forward immensely to the pleasure of said company at our opening gala! Although our opening gala is sold out, you can buy tickets for our February 24 show “This is Not a Man”, featuring Steve Coogan, Tom Reiss, Anton Sword, Dana Vachon and Jeff McDaniel, here!